In Spring/Summer’18, oversized shoes was the trend. 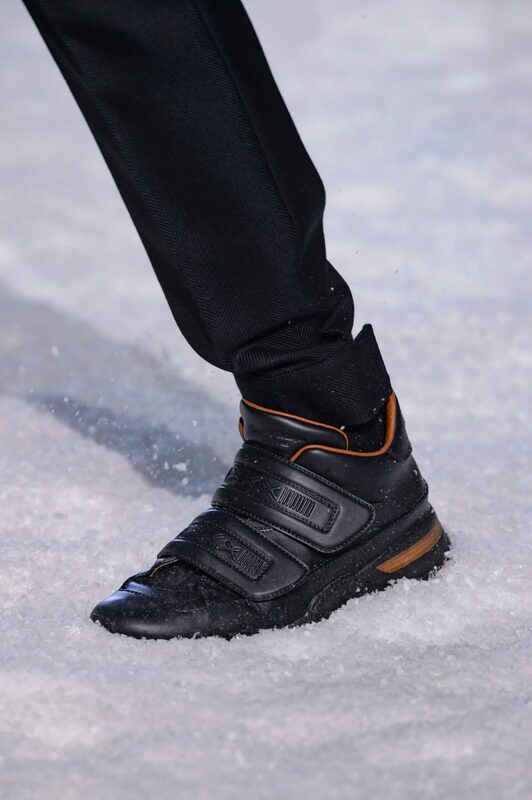 Fashion houses were all churning out chunky oversized sneakers that reminded us of our parents’ era. One season later, the trend does a 180 degrees and Kanye West is the current trending king of small shoes. It was uncomfortable as we looked on at how his heels were barely holding onto the edge of his slides. Perfectly-fitted shoes free us, and here’s a public service announcement of the list of lust-worthy Fall/Winter’18 shoes and what would happen if we wore them a size smaller. 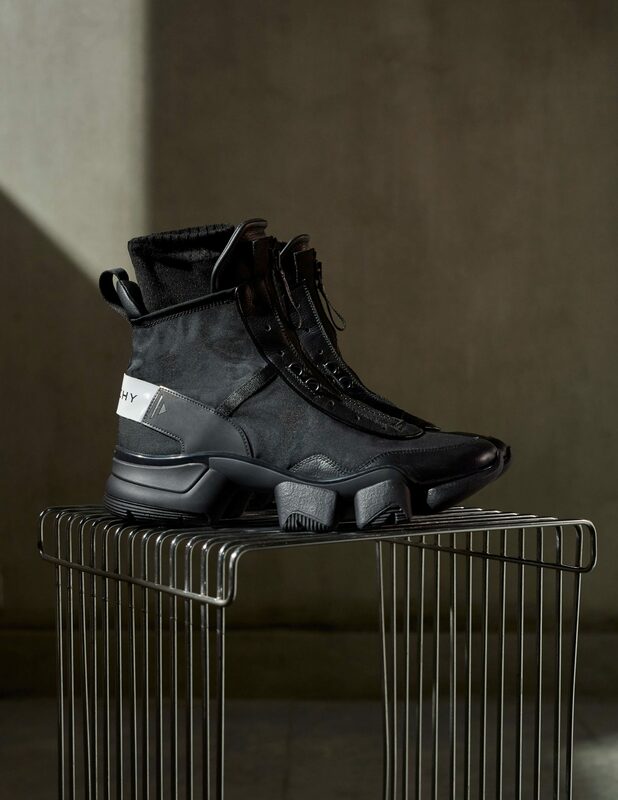 The large studs located in the front of this Givenchy JAW sneakers appear to have small separated areas of surface contact – imagine wearing them a size smaller, the balance that once worked on a pair of fitted shoes is now scrambled all over the place. New shoes nibble annoyingly like a baby looking for attention, give it a few weeks and they’ll grow into you. 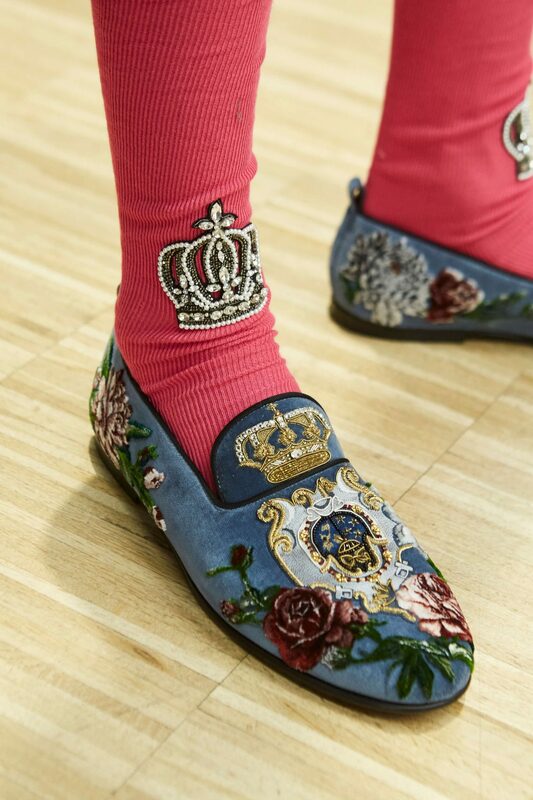 This Dolce & Gabbana slipper if worn small, sinks its teeth and will probably only let go when pried with a crowbar. No amount of old wives tales – biting the shoes to show who’s boss – will help. 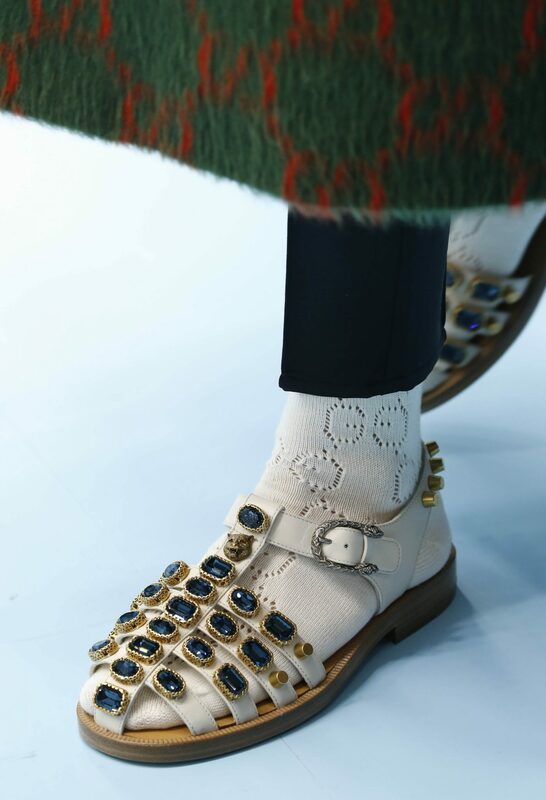 Wear this Gucci bejewelled pair and one will look like a royal boy prince on his way for a stroll in his personal garden of Eden. The butterflies flutter around your orchard, birds sing happy songs, and your personal peacock greets you by spreading his feathers but downsize it even once and you’ll look like stringed ham. Sandwich anyone? Velcro shoes are both heaven and hell. While it saved us from the torture of early morning shoelace tying in the dark during primary school, it also threw us back into the fiery pits by snapping open and flying off our feet when we exerted too much force while playing catching during recess. Now, imagine every step unleashing the deafening roar of the velcro monster, forcing one to kneel down to latch it back. Hell on earth is velcro shoes that are too small. The comfort of socks combined with the usability of shoes makes this pair a great wear. 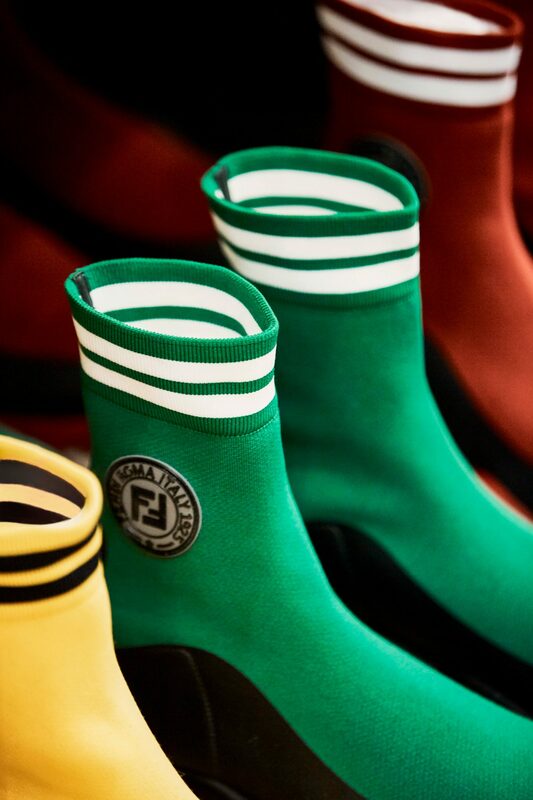 A size too small and we imagine it feels like wearing wet socks that are too small. The sock band cuts off circulation to the feet and the fight to pull off the pair of shoes will leave anyone in a puddle of sweat. 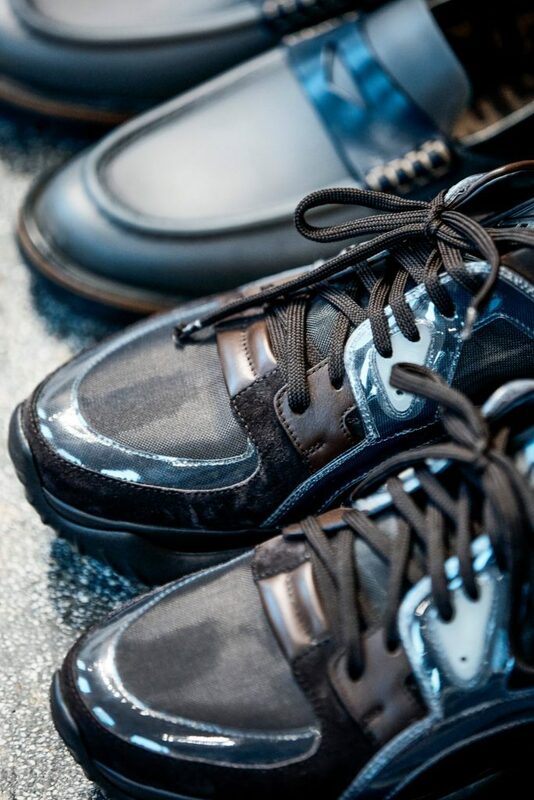 The shoes win in the end, leaving its red marks of victory on your skin. All the above mentioned shoes are lovely pairs, but let’s take a lesson from this and find comfort in all the shoes that we wear, even if they aren’t in our usual size.